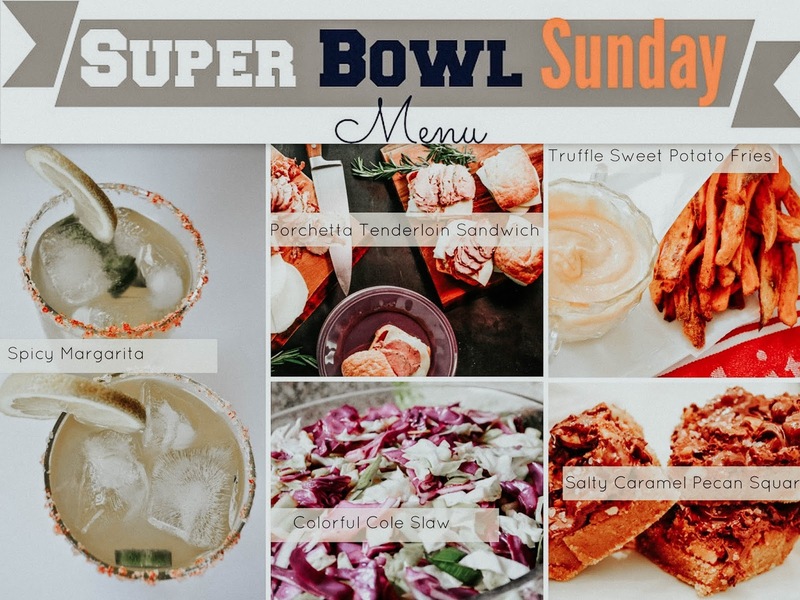 I know nothing about football nor does it peek my interest one bit, but I'm all about the camaraderie of hanging out with friends, sipping on delightful drinks and snacking on some delicious food. But the true party for me is halftime, especially when performers like Beyonce is performing. Boy, do I wish they'd give Janet Jackson and Justin Timberlake another chance at performing next year. Now that would be a party! Anyhow, had I not been going to someone else's place this year, here are some favorite snacks and food I'd be cooking up. 1. Add a little spice to your game day with this spicy margarita. 2. This is one perfect mouth watering game day recipe that will go a long way feeding a crowd. I've referenced this recipe twice already, because it's that ingeniously good. 3. Just because it's Super Bowl Sunday, doesn't mean that you shouldn't eat healthy. And of course, a well-rounded meal always has to have some kind of vegetable and what better way to do that than with this colorful cole slaw. 4. A recent favorite added to the mix is this good-for-you oven baked sweet potato truffle fries with spicy mayo dipping sauce. hmmm hmmm hmmmm hmmm hmmm! 5. No perfect meal is ever left without a sweet finish and these go-to favorite salty caramel and chocolate pecan squares will soften the blow to being broken-hearted if your team loses.